So I just read Francesca Lia Block’s 2012 prequel to her Weetzie Bat series called Pink Smog. I’ll get to Pink Smog later, but first I want to indulge in some nostalgia and talk about what the original 1989 Weetzie Bat means to me. I was twelve, an 8th grader, living in a Massachusetts suburban/rural town where playing sports was everything and almost everyone was white and the fashion choices were Gap, Benetton, or LL Bean. Music was mostly limited to classic rock, metal, and top hit R&B or pop music on the radio. Everyone was excited when Olive Garden moved in to the less popular mall off our town’s four lane highway. I was raised by my oddball parents as an agnostic vegetarian non-athlete but I did my best to play a sport and wear Gap and surreptitiously pick off the pepperoni from pizza. My house was full of books and odds and ends of furniture, and I would often fantasize about my parents remodeling our kitchen to look like the other moms’ country geese theme, and that my dad’s shabby grand piano would be replaced by a giant TV and a Nintendo. I didn’t watch much TV or listen to the radio. My town was what I knew; I wasn’t a fit for it, but I thought that was the only mold there was. The only inkling that I had of other ways of living came from Sassy Magazine, which somehow my feminist, obese, and fashion/makeup adverse mom got me when she heard about it from her own Ms. magazine. It was a lifeline to the idea that people my age lived and thought differently than what I thought was the only norm. In Sassy, the fashion was funky. The music that got profiled was alternative. None of the models were white suburban girls with spraychick bangs. The writers talked to you like you were cool, and in on it all. And they talked about real world issues, and were feminists, and they loved cute alternative boys, and they showed you how to do DIY projects, and they talked about books. Sassy is where I found out about Weetzie Bat. Each of the approximately thirty bajillion times that I read Weetzie, I knew that I was reading a fairy tale. If I had known the term “magical realism” then, I would have known the story had plenty of it. But here’s the thing: having never been to Los Angeles, having never met a hipster, having never been to a vintage store, having never been into an alternative music scene, and having absolutely no sense of fashion beyond The Gap, I had no way of detecting which parts of Weetzie were fantasy and which parts were real things or people you could find in a place like Los Angeles. It was all mythical to me, and yet I sensed that the author was tapping into something that really abounded in some form or other. Weetzie gave me more of the feeling that other possibilities existed than a roadmap to a different life. I absorbed Weetzie‘s magic and aesthetic into my being, although I did not outwardly change. When I finally traveled and lived outside of my home town, Weetzie was an ember that lived inside me that flared to life when I encountered something whimsical, or uncomfortably dark, or generally off the mainstream. I am still not a Weetzie, and I don’t live a Weetzie life. But I do live in the San Francisco Bay Area which attracted me here with its pockets of Weetzieness. (Sorry L.A.). I do like thrift stores, and I like to rock some mid-century style dresses from time to time (I’m more Brandi-Lynn shaped than Weetzie-shaped), and I like weird people, and am more comfortable with being my own odd self than I have ever been. My partner is definitely an “alternative boy”, although more the punk/skater/BMXer than a Dirk or My Secret Agent Lover Man hipster. And like Weetzie, I do love showing out of town guests the odd whimsical pockets of the Bay, as well as all the delicious delicious places to eat. But all this Weetziness…seems so normal to me now. I don’t mean “boring” normal, because after more than fifteen years here in the Bay, I can still feel the magic of living here. Magic, but familiar. 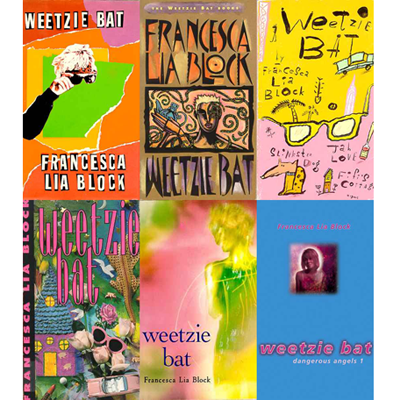 It’s been more than a decade since I last read Weetzie Bat, but now that I’ve read Block’s prequel, Pink Smog, I’m kind of afraid to revisit it. Maybe part of the problem is that seventh grade Weetzie in Pink Smog isn’t really Weetzie yet. She’s still Louise. She’s more me in small town Massachusetts middle school than she is Weetzie. Or me now. The thing I can put my finger on that disenchanted me was twelve year old Weetzie being such a name and brand dropper. In some ways she reminded me of the brand-conscious girls in the Pretty Little Liars books, except that Pink Smog is set in 1977 Los Angeles and Weetzie isn’t entirely going for the mainstream look. Unlike when I was twelve, I also recognize most of the landmarks and references Weetzie talks about or visits, so even the sometimes glittery pink smogged Los Angeles in this book seemed less fantastical than my memories of Weetzie Bat‘s L.A. did to my suburban preteen self. The other thing that bothered me about Pink Smog was that Block heavily connects Weetzie’s pining for her runaway dad Charlie with her crushes on guys. It was a little icky the way Weetzie talks about being “in love” with her dad, and how she hopes that a certain boy will notice her to fill in the void her dad has left. I know there’s some dark stuff in the actual Weetzie Bat series, but I started to wonder if Charlie Bat was more sinister than just an absent father. I’m not sad that I read Pink Smog, but I did kind of wonder how Weetzie Bat would seem to me now that I found some of my own Weetzieness…and actually visited L.A. Would the book still seem magical? I’m not sure I want to find out. I want to keep that Weetzie magic spark inside for as long as I can, through my youthful memories of it. What is it with me reading orphan books lately? In the past 6 months I’ve read: The Orphan Master’s Son, The Goldfinch, The Panopticon, The Cider House Rules, The Miseducation of Cameron Post, Eva Luna, and now Orphan Train. No doubt that “orphans” has long been a popular theme in literature: Jane Eyre, Anne of Green Gables, and, like, all of Dickens’ protagonists***. What is it about orphan tales? Is it that we feel instant empathy for an orphan character? Orphan tales are usually survival tales: does this feed in with our recent collective desire to read post-apocalyptic stories? Is Dickens now the new old thing? (see: newly published book Havisham. Maybe we’re moving on from Austen reworkings to Dickens). Are we nervous about our own survival? Do we identify with feeling alone in the world, even if we do have family and friends? I don’t know. The thing with orphan stories, though, is that their built in pathos has to be dealt with delicately by the author. Orphan stories can quickly go maudlin, or become gratuitous in depictions of deprivation. Orphan stories a la Dickens often have outrageous coincidences, as if the orphan’s hard luck is being compensated by divine fate. And too often, orphan stories feature the cruelest of villains, their inward hatefulness reflected by the ugliest of physical features. I think in some ways that all orphan stories are at their heart fairy tales: the lost hero or heroine, the evil villain, the fairy godmother or -father, the magic of coincidence, the bag of gold at the end of the journey. It takes a gifted writer to write an orphan story that goes beyond this fairy tale trope, and beyond its own plot to tell a story that has a greater commentary on life and how we live it. The Orphan Master’s Son, The Goldfinch, The Panopticon, The Cider House Rules, The Miseducation of Cameron Post,, and Eva Luna all pulled this off, especially the first three on this list. Orphan Master and Goldfinch especially so, and I hurtled along with the story, gripped by the characters and what the story was trying to say, and almost didn’t notice the outrageous Dickensian coincidences. Maybe that’s because the characters felt real, three-dimensional, complicated, flawed. Maybe because the book did not feel like a plot delivery device, constructed by an author sitting at a table. I lived in those novels. Not so with Orphan Train. (funny, I almost mistyped orphan as Oprah there…hmmm). Many of the good characters have golden hair and attractive features. The scenes of depravity feel out of tone with the rest of the book’s narrative style, as if the author is going for a modern edginess but is not really comfortable doing so. The narration flips between modern day third person and 1920s first person, both in the present tense, and this narrative choice especially did not work for me. The 1920s first person present narration was particularly weird: a nine year old girl narrating what is happening with the voice of her older self looking back, yet it is really meant to be present tense without the removal of time. 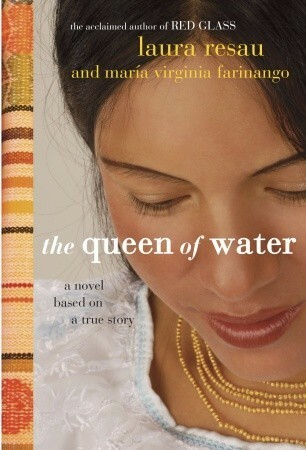 The plot was wholly predictable, the orphan fairy tale structure from beginning to end. It is not a “bad” book. The writing flows well, and you feel sympathy for the two main protagonists (how could you not? they’re orphans). 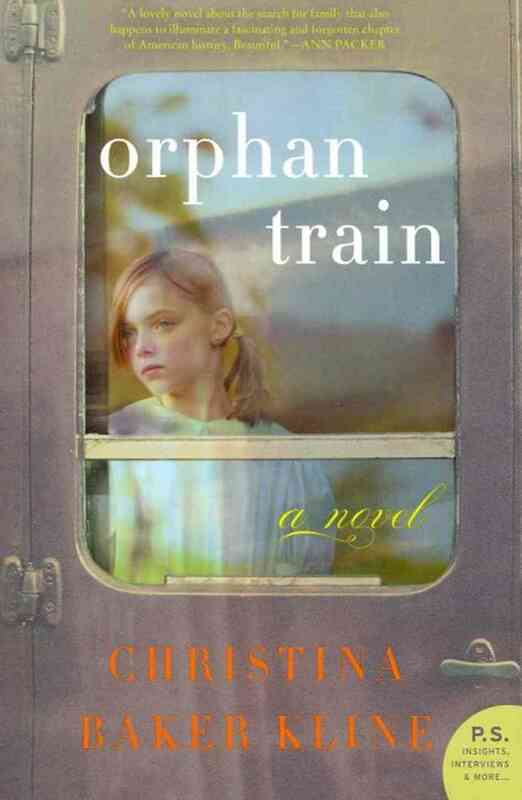 But Orphan Train felt like a ride that you got on and knew exactly where it was going. Verdict: A fun, suspenseful thriller that is most fun if you suspend your critical thinking about its many plot holes. It’s a quick read and definitely gives you back the right amount of entertainment for the time it takes to read. Perfect for: People who like stories and movies that mess with time (such as the wonderful Before I Fall, “Groundhog Day”, “Looper”). People who like fast-paced quick reads. 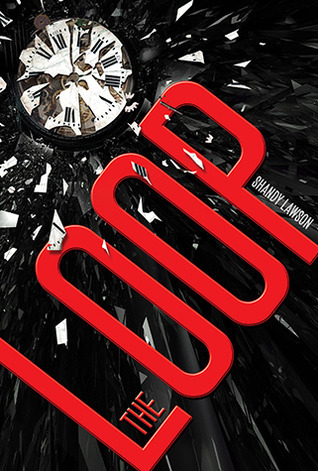 Summary: Ben and Maggie are destined to repeat the same two days in an endless loop – a loop that starts with them running into each other as strangers in a mall and ends with them getting killed by a relentless adversary. Can they alter enough small parts of their endlessly repeating experiences to break free of this deadly loop? 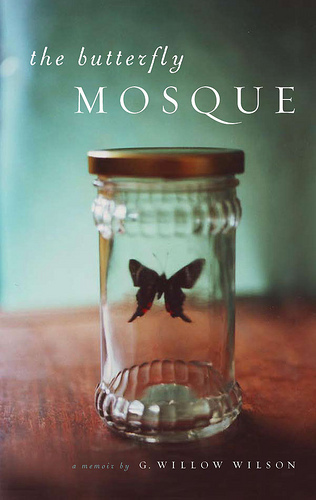 Verdict: An illuminating glimpse into one American woman’s decision to convert to Islam. Beautifully written and totally honest. Perfect for: People who read the utterly wonderful Alif the Unseen and, like me, became fascinated about the author, G. Willow Wilson. People interested in spirituality or issues of cultural identity. Anyone who likes a good memoir.